British International School, Phuket (BCIS) We aim to create a stimulating and caring environment to encourage active and independent learners. A wide variety of teaching and learning strategies that is our aim, but of great importance is the all-round development of the individual both inside and outside the classroom. 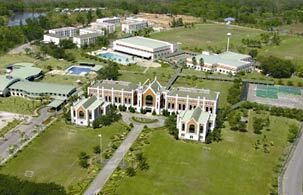 British International School, Phuket (BCIS) is divided into two educational institutions, the Primary and the Secondary School. We pledge to offer the highest quality international educational programmes, using a process of continuous internal and external assessment, in a caring, tolerant and inclusive learning environment conducive to every individual having an opportunity to maximize his/her learning potential. Moreover, a school has areas of comprehensive sporting and recreational facilities available for both day and boarding students. All meals are catered for in our refectory which provides a large choice of food, both Western and Thai.